HERO makes it easy to capture and share your world. 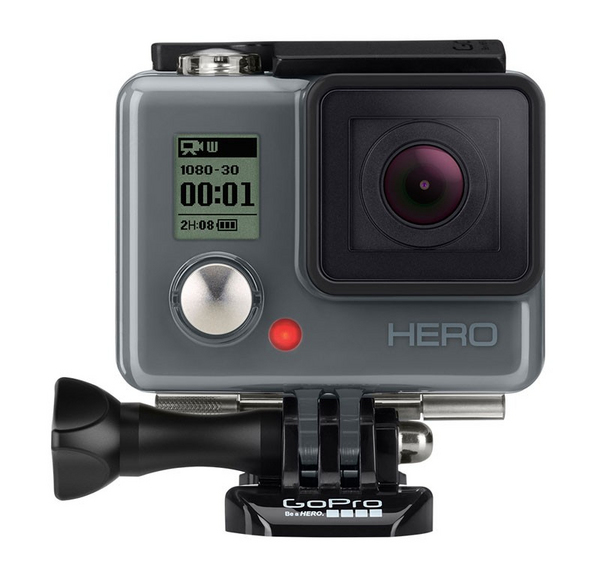 Featuring high-quality 1080p30 and 720p60 video, HERO captures the same immersive footage that's made GoPro one of the best-selling cameras in the world. User-friendly modes include QuikCapture, which lets you power on the camera and start recording with the press of a single button, and Burst Photo, which captures fast-action sequences at up to 5 frames per second. Wearable, gear-mountable and integrated into a rugged housing1 that's waterproof to 131' (40m), HERO helps you capture photos and videos that make you look like just that: a HERO. GoPro video quality. HERO captures the same immersive footage that's made GoPro one of the best-selling cameras in the world. With gorgeous 1080p30 and 720p60 video, and user-friendly modes like QuikCapture, SuperView and Auto Low Light, it's easier than ever to get the shot and achieve professional-quality results every time. A variety of photo capture options gives you the power to document your passions any way you want. Shoot 5MP still photos to share with friends on Facebook, Instagram and more. Time Lapse mode automatically captures a photo every half-second. It's great for gear-mounted shots when the shutter button is out of reach, or capturing a series of photos so you can pick the best ones. Burst mode shoots up to 5 photos in one second--perfect for fast-action sequences. Rugged, waterproof, all-in-one design. The HERO camera is built directly into a rugged housing1 that's waterproof to 131' (40m). It's designed to withstand dirt, sand, water and nearly anything else you can throw at it. So whether you're getting after surf, snow or singletrack--or just splashing in the pool with your friends--you can take it with you without a worry. QuikCapture convenience. Be ready to capture the moment at a moment's notice with new QuikCapture mode. 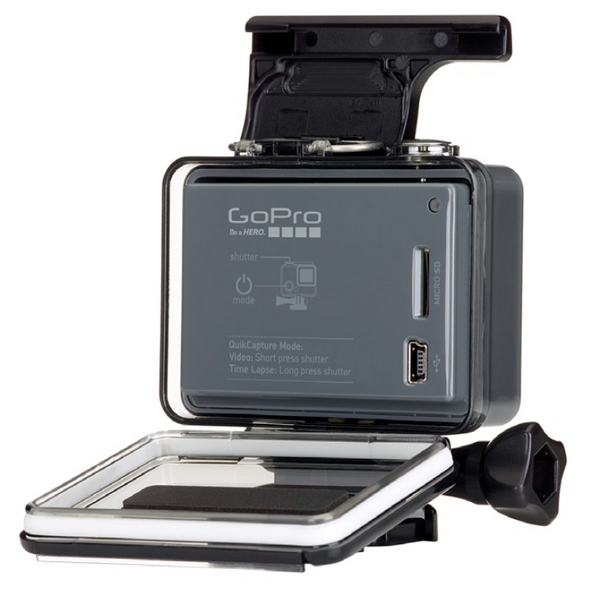 It turns your GoPro into a one-button camera, allowing you to power on and start recording automatically with the press of a single button. 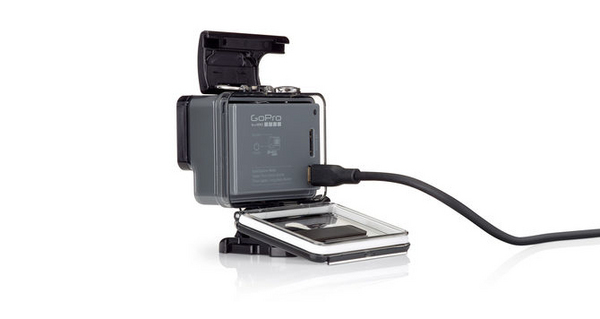 Press once to record video, press and hold for two seconds to capture Time Lapse photos. 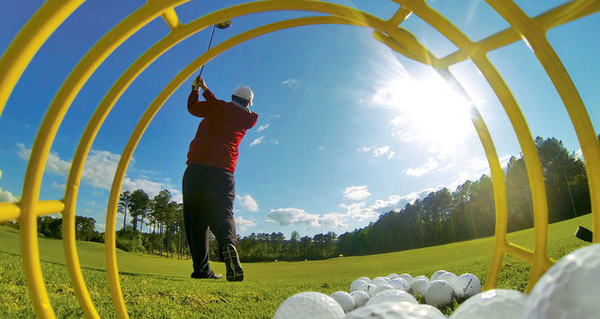 Never worry again about missing an epic shot. 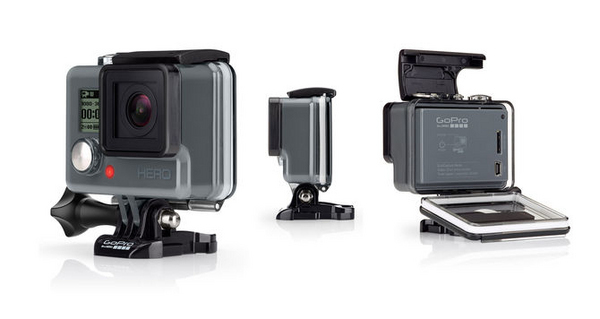 HERO features SuperView, a GoPro-exclusive video mode that captures the world's most immersive wide-angle perspective. It allows you to capture more of yourself and your surroundings in the shot--resulting in captivating, ultra engaging footage of every adventure. Auto Low Light mode. Let the camera do the thinking for you. Auto Low Light mode intelligently changes frame rates based on lighting conditions for optimal low-light performance, enabling you to move between bright and dark environments without having to adjust your camera settings. 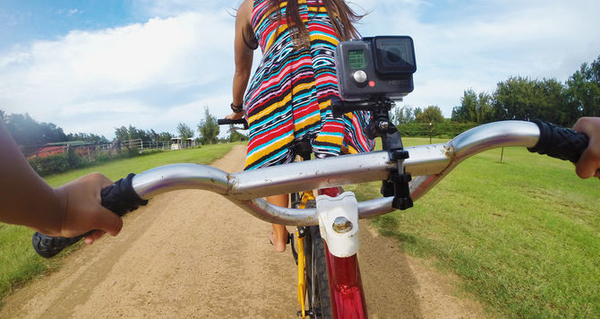 HERO's ultra wide-angle glass lens enables the extra immersive perspective GoPro is famous for. It's great close-range selfies and gear-mounted shots--delivering a unique perspective and engaging footage of you and your world. Built-in microphone. Capture audio of all your adventures--from hoots and hi5s to roaring crowds and crashing waves. The included Skeleton Backdoor enables enhanced audio during low-speed activities in dry, dirt-free environments. 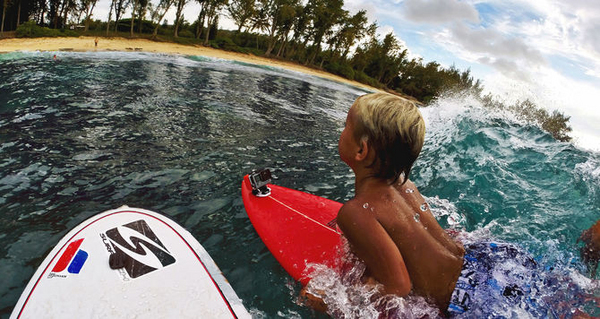 Download free GoPro Studio software, and do more with your GoPro footage than ever before. 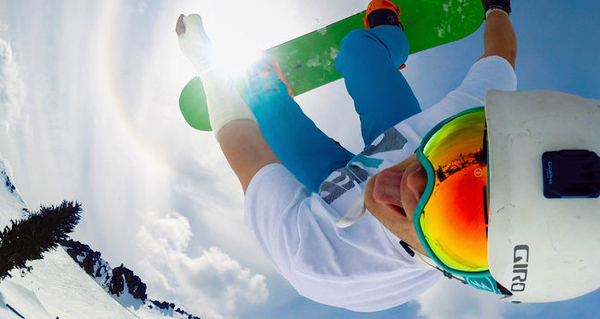 Easily import your content, and create engaging GoPro-style videos to share with the world.